When my son passed away eight years ago, after some time of grieving it was recommended I read this book as a way to bring me to God and alleviate my grief. I had heard many good things but I was afraid - though I never really understood why. I found my way to God about five years ago and have had many encounters with him in my grieving process. 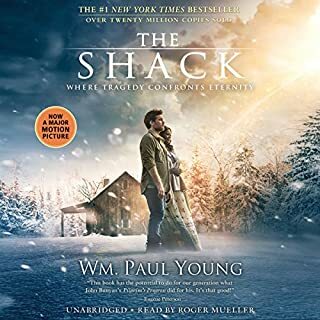 I recently put The Shack on my Audible wish list and after seeing the trailer for the upcoming movie I knew it was time to "read" the book. I have never experienced such a profoundly positive effect from any piece of literature except for maybe the Bible. My eyes, mind, heart and soul are forever changed - I so look forward to continue growing in my relationship with God, Jesus and "Sarayu". Thank you - thoroughly enjoyed!